Calvary Women’s Services hosted the “In Her Words” Breakfast on Tuesday, October 27, and invited a full room of supporters from all walks of life to join in a new fundraising campaign called Women Empowering Women. 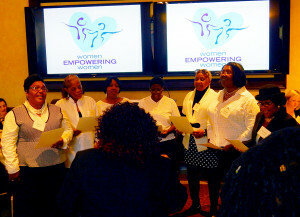 Women Empowering Women is more than a giving circle to support women at Calvary. 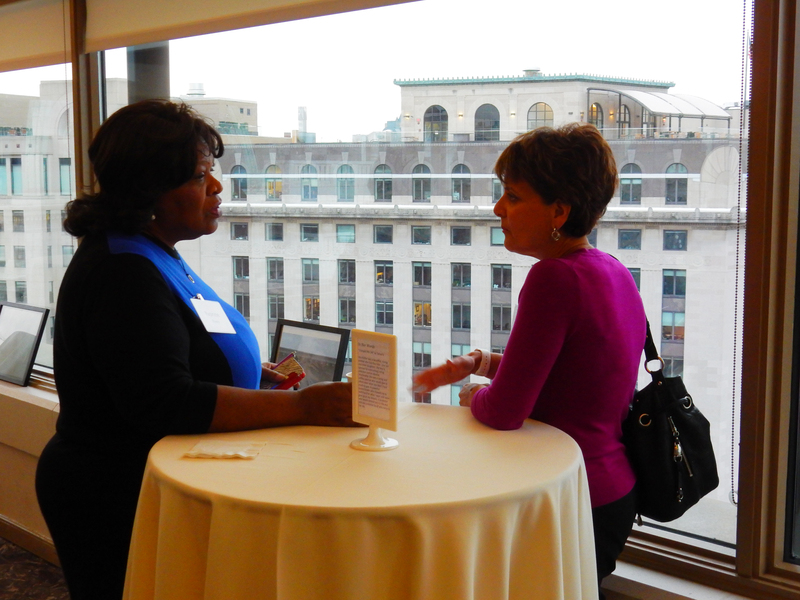 It is a chance for supporters to share their strengths and resources, and invest in women. It is built on the belief that together, we can increase our reach and our impact. 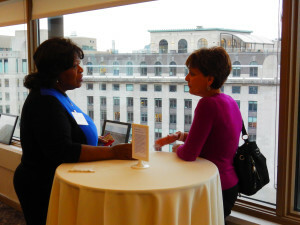 Women Empowering Women will create volunteer opportunities, new networking events and stronger programs that will empower more women to do and be their best. 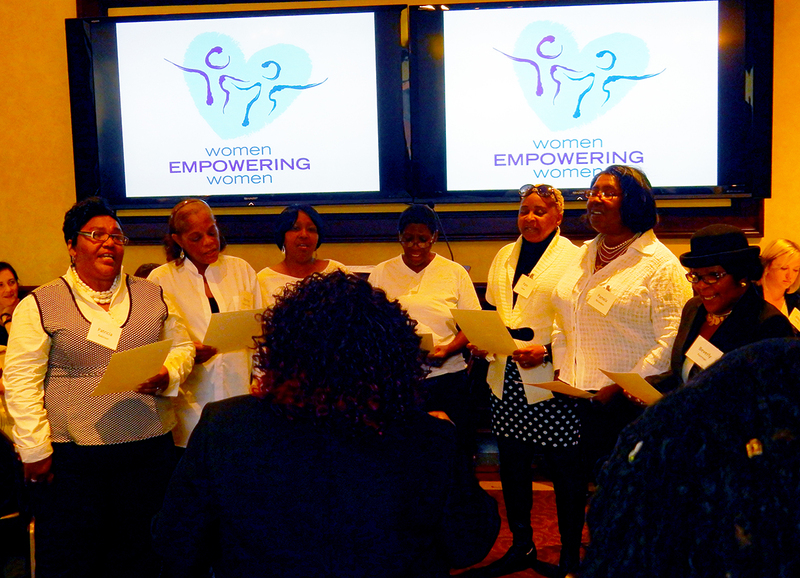 The breakfast began with a moving performance of “I Believe I Can Fly” by the Calvary Women’s Choir – a group of residents who worked hard over the past several weeks rehearsing a song that started the event on a positive, energizing note. Dee Martin, president of Calvary’s board of directors, invited everyone to find meaningful ways within the campaign to get involved. Allison Komara – a board member and long-time volunteer who has done everything from staying overnight to serving meals – reflected on how she gets so much more than she gives as a donor and volunteer. everything about them is so real. To learn more about Women Empowering Women, please visit our new webpage.